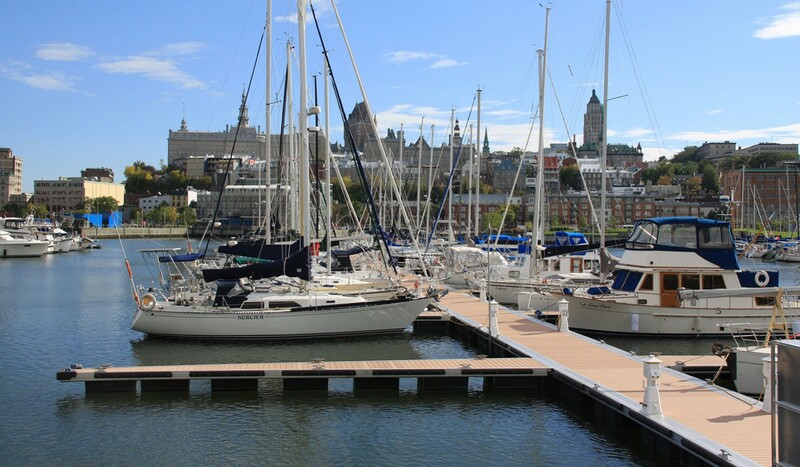 Anchored in the historical Quebec City, the Port of Québec Marina was developed around the old piers, close by the iconic Fairmont Le Château Frontenac. 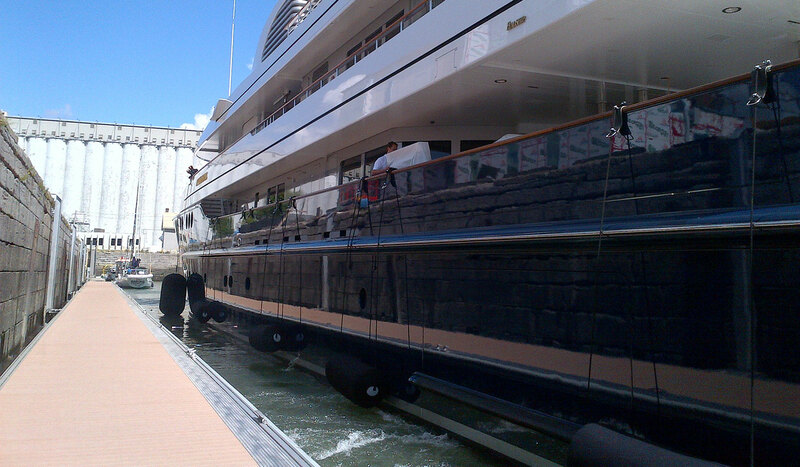 The fully serviced 425 berth marina, able to accommodate yachts up to 60 meters (200 ft), was a milestone event in the modern pleasure craft harbour construction as it was North America’s very first engineered aluminium-framed marina system. 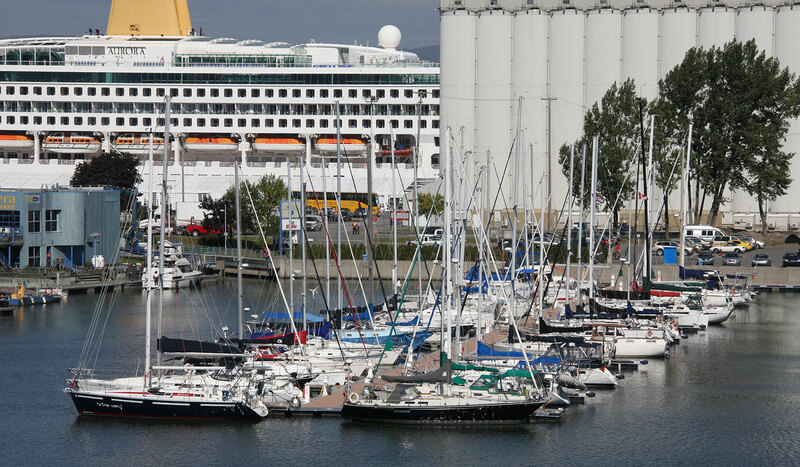 Port of Québec Marina is an affirmation of the main attributes and strengths of why aluminium has become the material of choice in the marina construction. 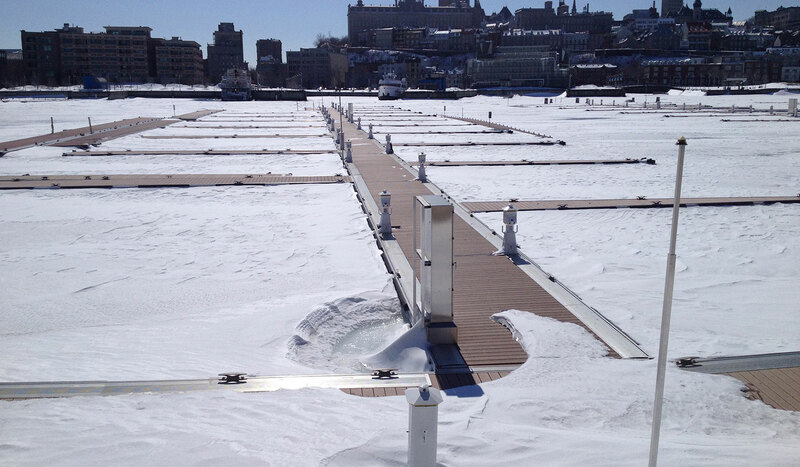 The marina has lived through over 30 harsh Canadian winters in up to 1.2 m (4 ft) of ice. During the boating season, the marina’s flexible anchoring system sustains over 25 lockage operations a day with a 4.5 m (15 ft) tidal variation.